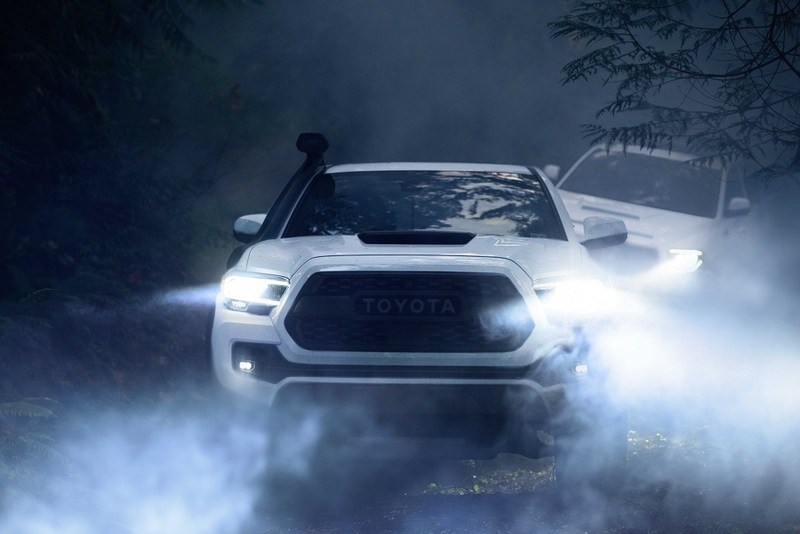 A brand new 2020 Seqouia TRD Pro led the parade of Toyota TRD Pro vehicle introductions at the Chicago Auto Show this week. The full-size Sequoia SUV is the newest TRD Pro vehicle from Toyota. 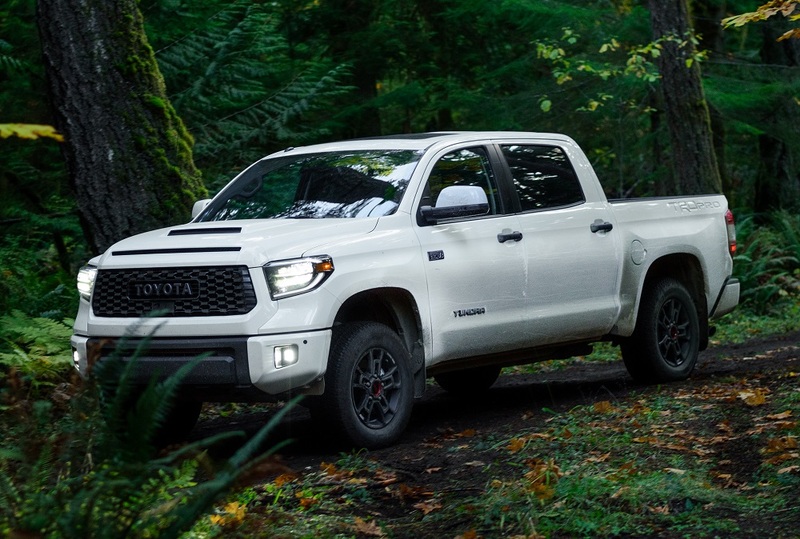 It joins the TRD Pro Tundra, Tacoma and 4Runner models for 2020. The Sequoia TRD Pro features a tough body-on-frame construction, four-wheel independent suspension, generous ground clearance and a powerful V8 engine. 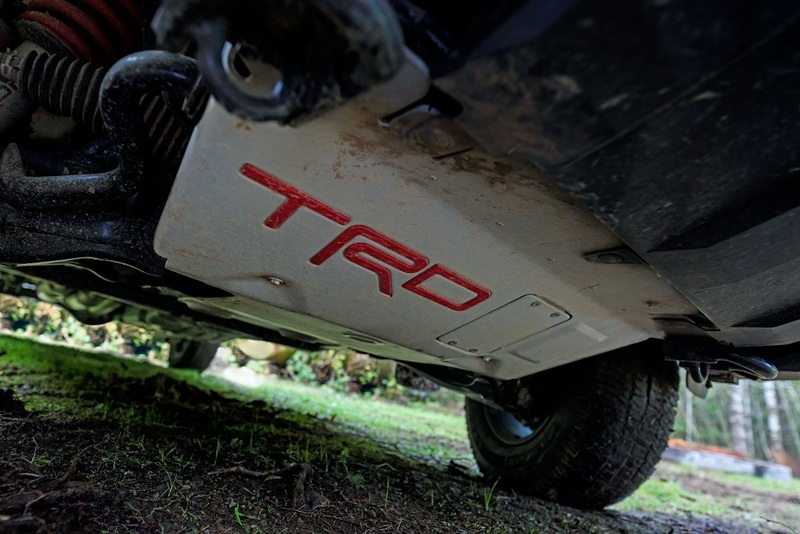 The TRD Pro comes standard with Toyota’s Multi-Mode 4WD. 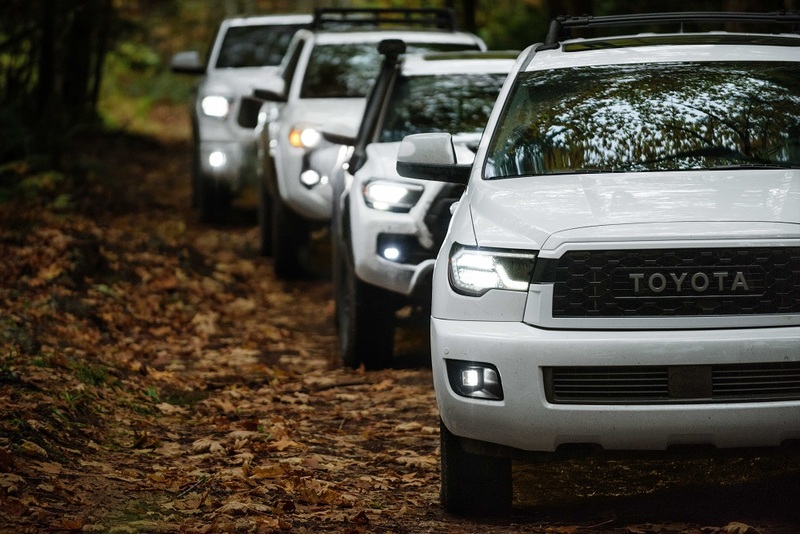 Sequoia TRD Pro stands out from the other Sequoia models with its Black TRD Pro door badges, TRD Pro “Toyota” grille, LED headlights and Rigid Industries fog lights. It runs on TRD 18 x 8-inch Black forged aluminum wheels mounted with P275/65 R18 tires. 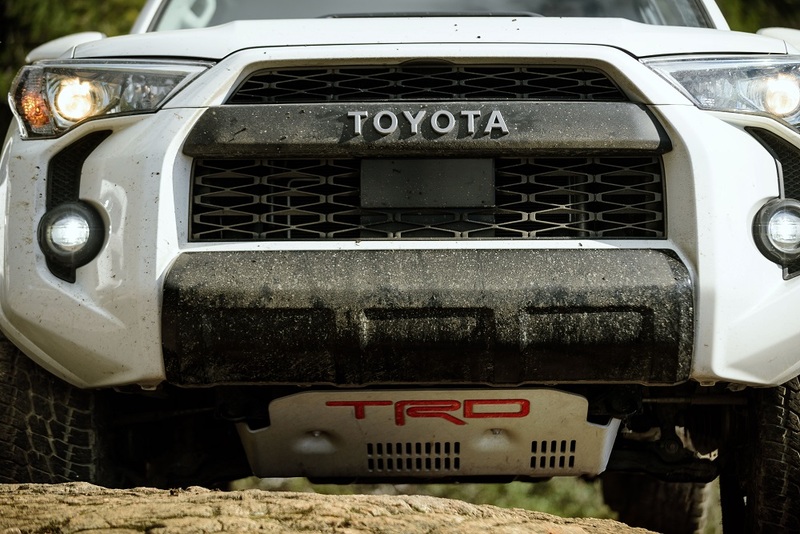 A distinctive TRD Front Skid Plate protects the front suspension and oil pan underneath while aluminum running boards gives easy cabin access and a TRD roof rack offers additional gear storage if needed. The Sequoia TRD Pro comes only as a 7-seater with middle-row captain’s chairs. 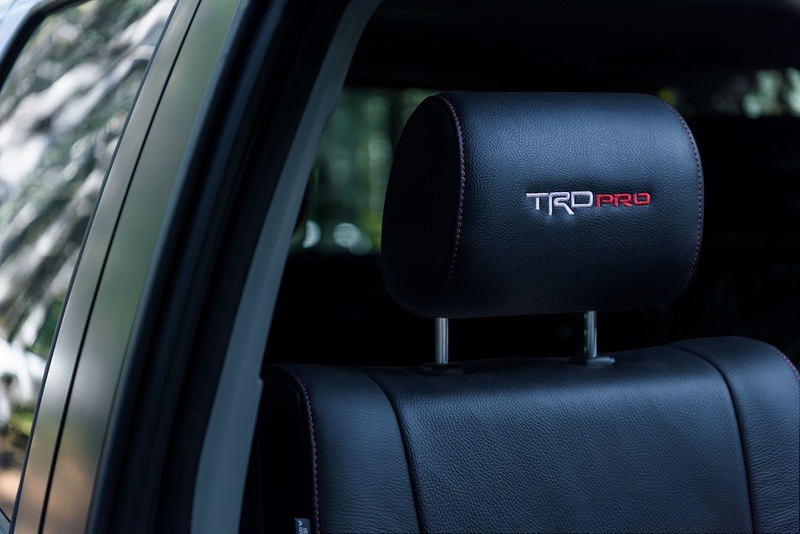 The Black TRD Pro leather trimmed seats feature red contrast stitching and ‘TRD Pro’ on the headrests while the floors are protected by TRD Pro logo all-weather mats. 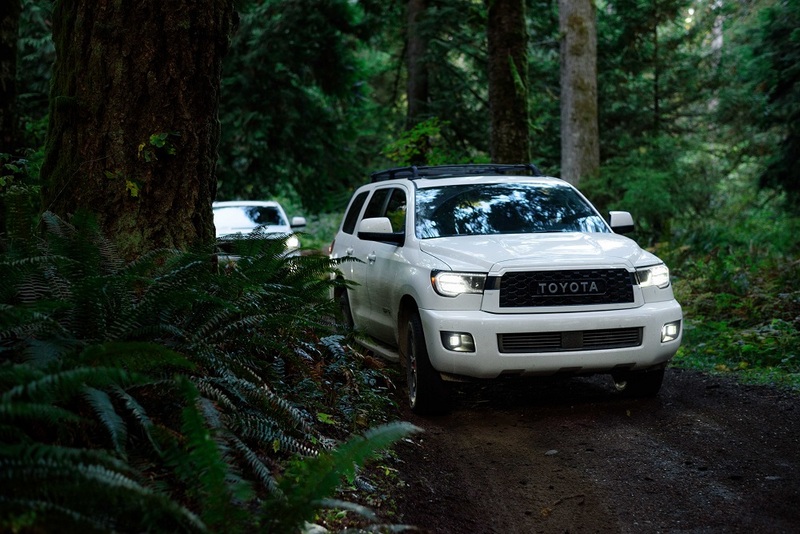 Some of the amenities and features of the 2020 Toyota Sequoia TRD Pro include Smart Key with Push Button Start, 8-way Power Driver Seat, Power Tilt/Slide Moonroof, and Tri-Zone Automatic Climate Control with rear seat controls. The standard Premium Audio system features a high-resolution touchscreen with SiriusXM, USB media ports, Bluetooth hands-free and music streaming. Android Auto, Apple CarPlay and Amazon Alexa compatibility are included in the system. Gear space is abundant. With third row flat, space is near 70 cubic feet and lowering the second-row seatbacks, the available cargo space is over 120 cubic feet with 11 feet of length available. Sequoia offers easy reach-in access to the cargo deck with its power window in the top half of the liftgate. Colors for the 2020 Sequoia TRD Pro include the new exclusive Army Green, Super White, Midnight Black Metallic and Magnetic Gray Metallic. The Sequoia TRD Pro powertrain is Toyota’s proven 5.7L i-Force V8 mated to a 6-speed electronically controlled automatic transmission. It produces 381 horsepower and 401 lb.-ft. of torque with 90 percent of the torque delivered at just 2,200 rpm. Sequoia TRD Pro comes standard with a Multi-Mode 4WD system with a rotary dial shift-on-the-fly two speed transfer case and button lockable Torsen limited-slip differential. The Sequoia TRD Pro can tow up to 9,100 pounds using its integrated tow hitch, Tow/Haul transmission mode and Trailer Sway Control. 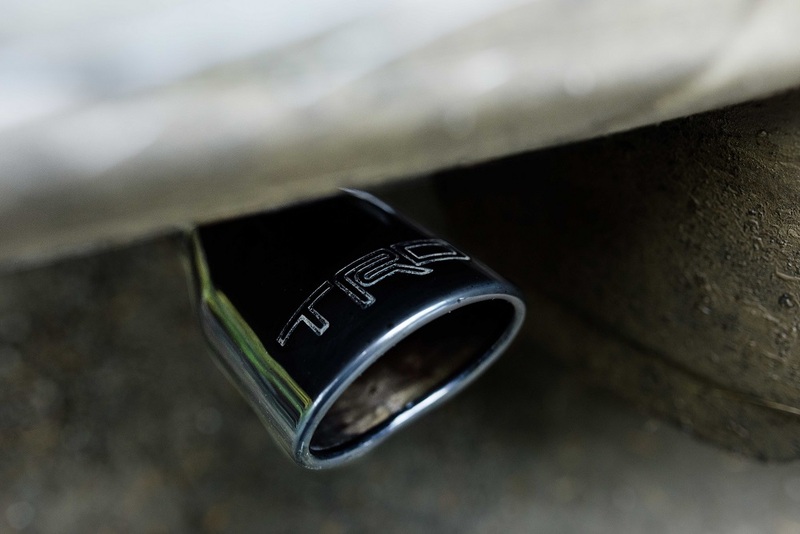 A TRD cat-back exhaust system is available for those who want a bolder exhaust sound from their Sequoia TRD Pro. All Toyota TRD Pro vehicles come with the Toyota Safety Sense-P that includes Pre-Collision with Pedestrian Detection and Automatic Braking, Lane Departure Alert with Sway Warning, Dynamic Cruise Control with Full Stop Technology and Automatic High Beams. The Sequoia is also equipped with Blind Spot Monitor and Rear Cross Traffic Alert. 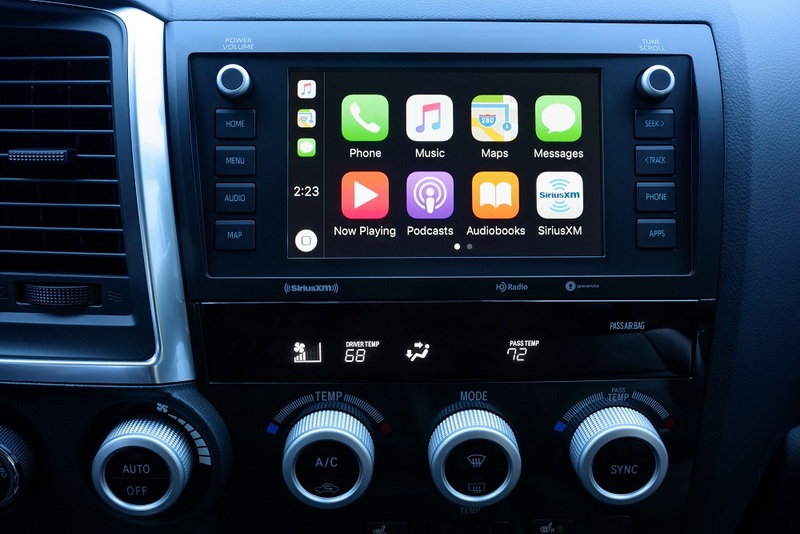 All TRD Pro models will have upgraded multimedia systems that include Android Auto, Apple CarPlay and Amazon Alexa compatibility. 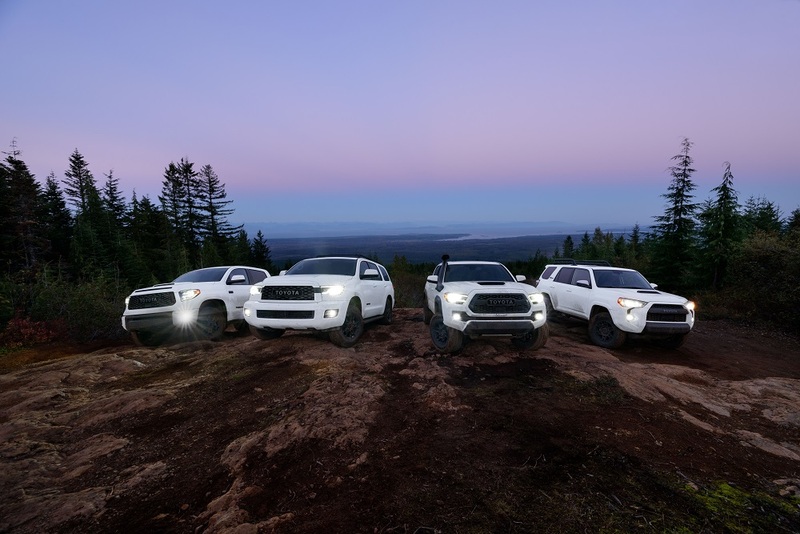 Tundra, Tacoma and 4Runner TRD Pro vehicles will feature 8-inch touchscreens while the Sequoia will use a 7-inch. JBL Premium Audio and Navigation – standard on 4Runner and Tacoma – now will be standard on Sequoia and Tundra CrewMax. Tundra TRD Pro will be available in both Double Cab and CrewMax configuration and the 4Runner gets a new grille design. Tacoma TRD Pro adds a number of features we have outlined in our companion story on the Tacoma at the Chicago Auto Show. Fox has been a premier maker of off-road suspension components for off-roaders and racers for years. Toyota exclusively uses Fox aluminum-body internal bypass shocks on all TRD Pro trucks and SUVs – specifically tuned by Toyota engineers for each vehicle’s unique attributes. The TRD Pro Fox shock bodies are constructed of fully anodized aluminum for reduced weight and increased heat dissipation to minimize shock fade off-road. A combination of high-temperature damper fluid and pressurized nitrogen gas optimizes the ride and life of the seals. Inside, the internal-bypass shock uses the compaction of the shock’s fluid through regulated ports to deliver a tuned smooth ride on the highway. When traveling off-road, the ever-increasing compaction of the fluid through the successive ports, prevents the shock piston from bottoming out enabling better control. On Sequoia, the TRD Pro tuned Fox Shocks up front feature 7 compression and 2 rebound zones that, combined with reduced spring rates, deliver better off-road compliance. At the rear, the standard Sequoia shocks are replaced by 2-inch Fox units with larger pistons and shock rods for better terrain stability. Pricing and other performance specifications for the 2020 Toyota Sequoia TRD Pro will be made available closer to arrival in dealerships. The team at inwheeltime.com will keep you posted.